Four wards at the Trust have received national awards in recognition of the major changes they’ve made to the care they provide to patients approaching the end of their lives. Staff from our wards at Chelsea and Westminster, Nell Gwynne and Ron Johnson, and West Middlesex University, Kew and Lampton, hospitals were presented with the Gold Standards Framework (GSF) Quality Hallmark Award at a special ceremony in London on Friday 5 April. The award, endorsed by the British Geriatrics Society (BGS), recognises the proactive approach of staff to delivering personalised care, in line with the NHS Long Term Plan’s goals for end of life care. Sarah Mistry, Chief Executive of BGS, said: "The Gold Standards Framework programme assists hospital teams to provide the personalised and proactive care people want and deserve as they approach the end of their life. Staff on the four wards at Chelsea and Westminster NHS Foundation Trust should be congratulated for being front-runners in using GSF to embed the principles of the newly published NHS Long Term Plan ahead of time. They are making tangible improvements in end of life care provision for patients and their families." The GSF programme is designed to help frontline generalist doctors and nurses meet the pressing challenges of identifying patients in the last year of life, communicating effectively with them to plan their care and then coordinating that care according to their wishes. 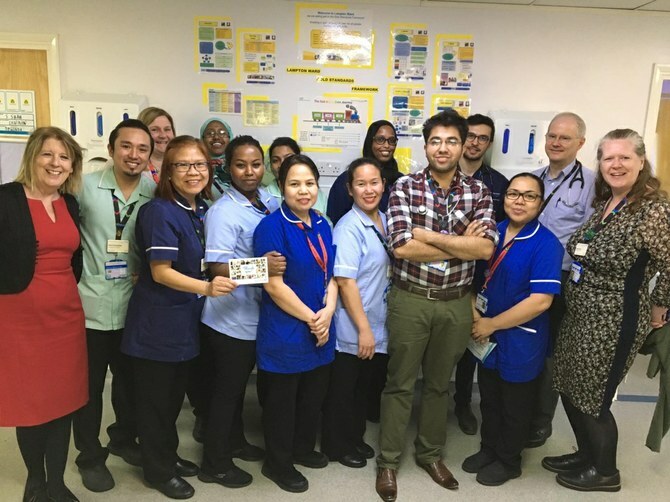 Staff on our wards completed a six-workshop training programme, undertook several on-line evaluations, assembled a portfolio of evidence demonstrating the attainment of five key tasks and underwent a visit from the GSF assessment team. Following the training, all four wards had increased the number of patients identified as being in the last year of life to at least 30%. This has enabled staff to initiate conversations with patients and their families, plan care in line with their wishes and consequently deliver more personalised care. On Ron Johnson, a HIV and Cancer ward at Chelsea and Westminster Hospital, GSF assessors found consistent evidence of individualised care and were impressed with the additional services provided, including weekly film screenings and Pets As Therapy (PAT) dog visits. They also noted that we provide good facilities for carers. Meanwhile at Nell Gwynne, a Stroke Ward, the hospital charity has partnered with a firm of solicitors to provide a free will making service. As well as the positive effect on patient care, staff at the trust have reported a major impact on their approach to dealing with this patient group. Sara Scarborough, Macmillan Clinical Nurse Specialist, Palliative Care, said: “I’ve also noticed the huge confidence boost it has given our staff who don’t have a specialist palliative care background, to initiate and have those conversations with patients about what may happen to them and how we can support them by knowing their wishes and preferences. The assessors were particularly impressed with the multi-disciplinary working on Kew, a stroke ward at West Middlesex University Hospital where a very wide range of professionals including occupational therapists, physios, dieticians, neurologists, social workers, complementary therapists, nurses and consultants meet on a weekly basis to discuss those patients on the new palliative care register.